On Sale! 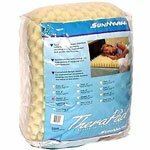 Up to 7% off on Convoluted Mattress Foam at Pulmonomics. Top brands include Joerns, Graham-Field Health, McKesson, Summark, & Vaunn. Hurry! Limited time offers. Offers valid only while supplies last. 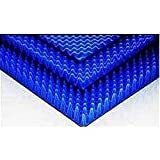 Joerns Bio Clinic Elite Mattress, Stretch Cover, Fire Barrier, 42" x 76"
Joerns Bio Clinic Deluxe Mattress, Nylon, Fire Barrier, 39" x 80"
Joerns Bio Clinic Deluxe Mattress, Nylon, Fire Barrier, 39" x 84"
Joerns Bio Clinic Deluxe Mattress, Stretch Cover, Fire Barrier, 39" x 76"
Joerns Bio Clinic Deluxe Mattress, Stretch Cover, Fire Barrier, 39" x 80"
Joerns Bio Clinic Deluxe Mattress, Stretch Cover, Fire Barrier, 42" x 84"
Joerns Bio Clinic Elite Mattress, Nylon, Fire Barrier, 39" x 80"
Joerns Bio Clinic Deluxe Mattress, Nylon, Fire Barrier, 42" x 80"
Joerns Bio Clinic Elite Mattress, Nylon, Fire Barrier, 39" x 84"